The Vergette family would like to welcome you to Hunger Hill CL site. 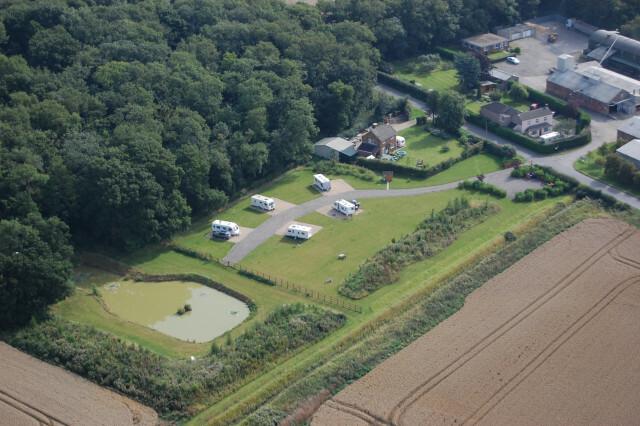 A 5 van site for Caravan Club members only and set in 2 acres. Hunger Hill is located on an arable working farm on the South West side of Hunger Hill Wood and has a wildlife pond adjacent. Just one mile from the centre of Riby on the edge of the Lincolnshire Wolds Area of Outstanding Natural Beauty, near to Grimsby and Cleethorpes' beaches and the market towns of Caistor and Brigg, makes us an ideal base for the whole family to stay. 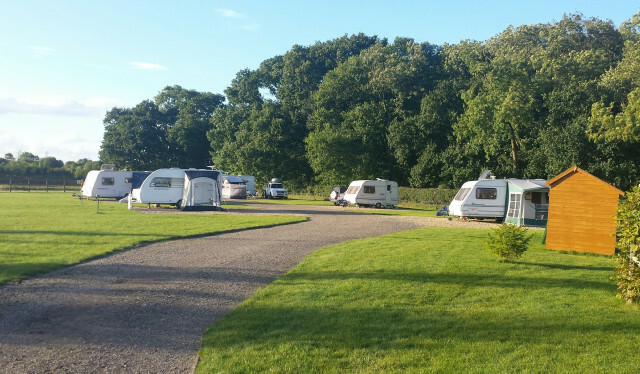 Open all year the level site has 5 hard standing pitches (9m x 9m)with electric points and suitable for motorvans. The service area has drinking water, grey water disposal and a chemical disposal point along with an information kiosk which has tourist leaflets, 2nd hand books, menus and DVDs available. Children are welcome on the site with space to play and an adventure playground in the wood. Dogs are welcome, if kept on leads and there is access to a dog walk in the wood and various walks have been created around the farm for you and your dogs to enjoy. Lindens Farm, Riby, Grimsby, Lincolnshire, DN37 7NQ.